Some weeks I don’t buy anything. BAHAHAHAHAHA. When that actually happens, I will definitely post about it. In fact, I will make it a goal to not buy anything (taxable) for a whole week. Really what happened is that I got SO MUCH AWESOME STUFF this week that I can’t decide what to write about! I’ve been so excited with the packages that have been arriving that I got all overwhelmed and so I’m blogging about a roll of toilet paper. THIS is not your typical roll of toilet paper. This is the emergency roll of single ply tissue (gifted to us by my Grandma, I’m sure – she makes the best care packages, I’m not kidding) that Erin and I kept in our bathroom through college. 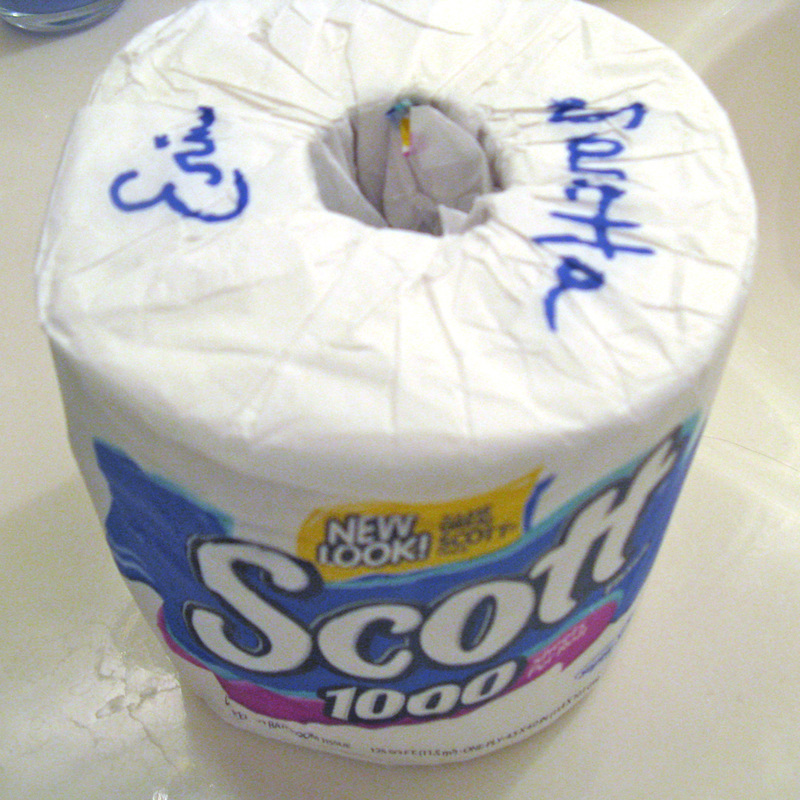 When we were moving out and we had managed to never run out of toilet paper, we signed it! And I took it with me and promised to never run out of toilet paper in my own home. Uhhh, we’ll see about that, but I certainly won’t be using this roll as back-up! And with that – HAVE A WONDERFUL WEEKEND! May we PLEASE PLEASE PLEASE be ADVANCED together one day! Actually, I’m out of the office today anyway, so that made Wednesday like my Friday and this Friday is like a Saturday in a long series of Saturdays. Uhhh, OK, now that we got that out of the way. 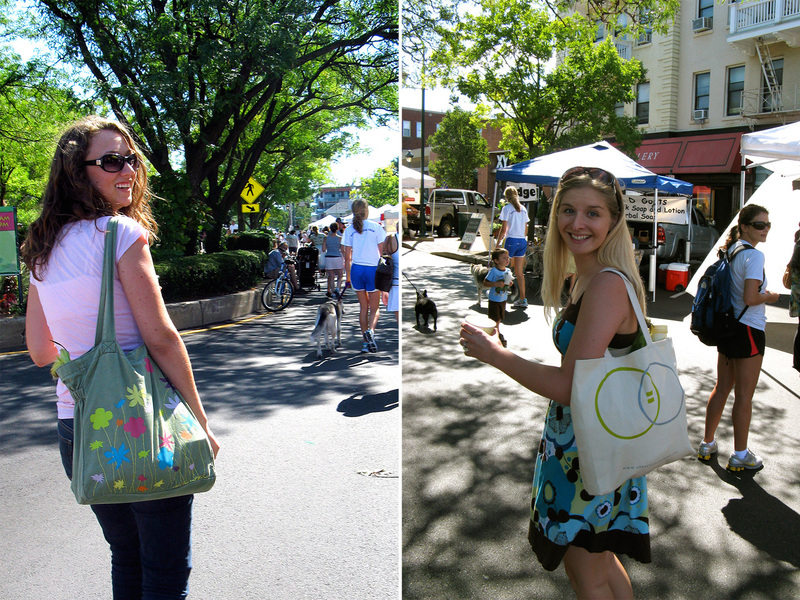 Last weekend, in between the free concerts, I spent my mornings at two farmer’s markets around town. With Erin. It was great. Bright mornings, hot coffee, sundresses and fresh veggies. Oh, and amazing pesto care of the Cub Scouts. On Saturday morning, Erin and I visited the little Mt. Lookout farmer’s market, and bought SO MANY VEGGIES we were pretty sure we wouldn’t need to go shopping for a month. Until we ate them all that afternoon. Mmmmmm. We spent Saturday afternoon in Erin’s apartment working on her wedding stuff. Or mostly watching movies. 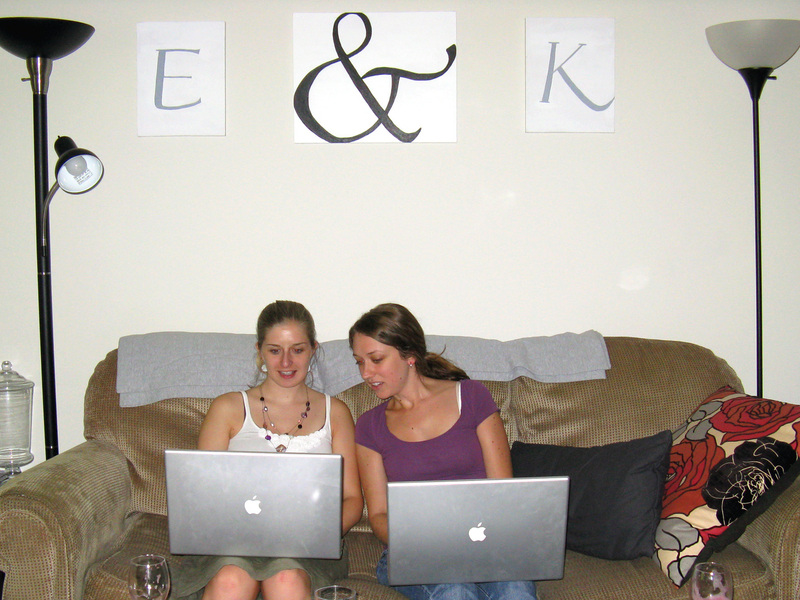 We sat on the couch working on our laptops – exactly how we spent a large amount of our college years together! Then Sunday we decided to go to the the Hyde Park Farmer’s Market – which, it turns out, is more like a farmer’s market PARTY! With bread & milk & veggies & flowers & coffee & soaps & live music…wonderful! We followed our morning out with an afternoon spent working from a coffee shop (kind of like I’m doing today!). It’s amazing how much more work I get done when I’m working in a place that makes me happy. I would totally like to work from out of the office a couple days a week. I would be way more productive. So now I have even more veggies (which Nate is ecstatic about, by the way) and I’m pushing pretty hard to get the 3-tier hanging basket I bought ages ago finally put up. Yay! This weekend I’m not going to make it to either farmer’s market. So I’m going to have to hunt down another one during the week. There are a lot around, so I should be able to find one! 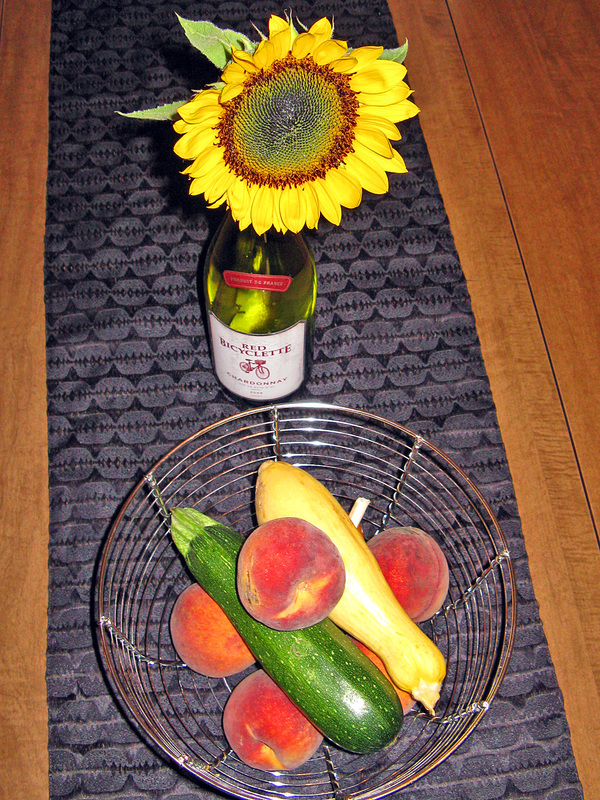 I love summer and its fresh veggies!